Using a grout float, apply and press grout between the tiles. Work in small areas (about a 3-ft square at a time) and only move the grout float diagonal to the grout lines. When buying grout, you'll see products labeled "sanded" or "unsanded." 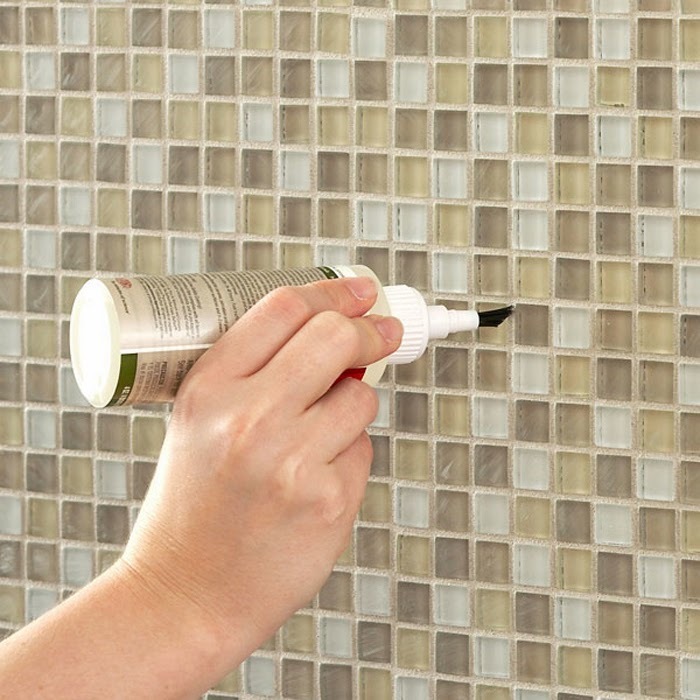 Choose unsanded grout when filling spaces less than 1/8-in. Use sanded grout for wider spaces. 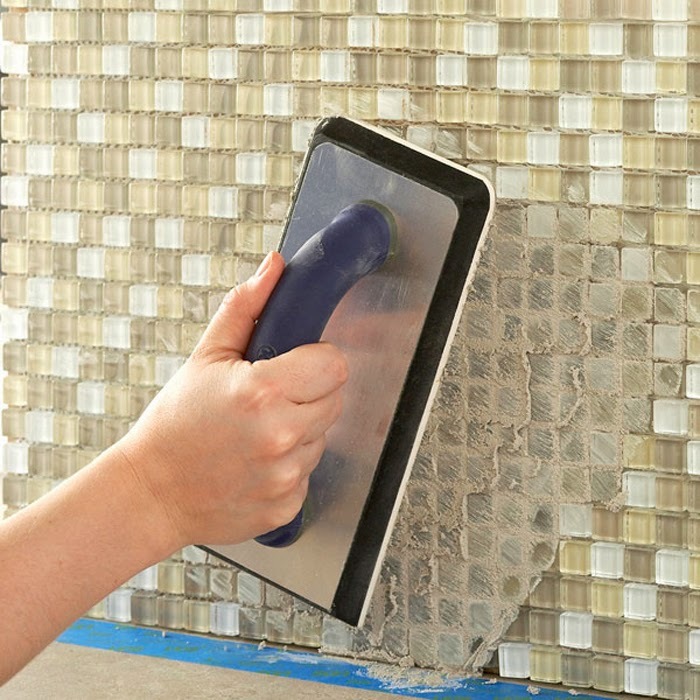 When the grout begins to form a haze on the tile, wipe away the excess using a moist sponge. Wash out the sponge frequently as you work. Timing is critical for this and the next stage. 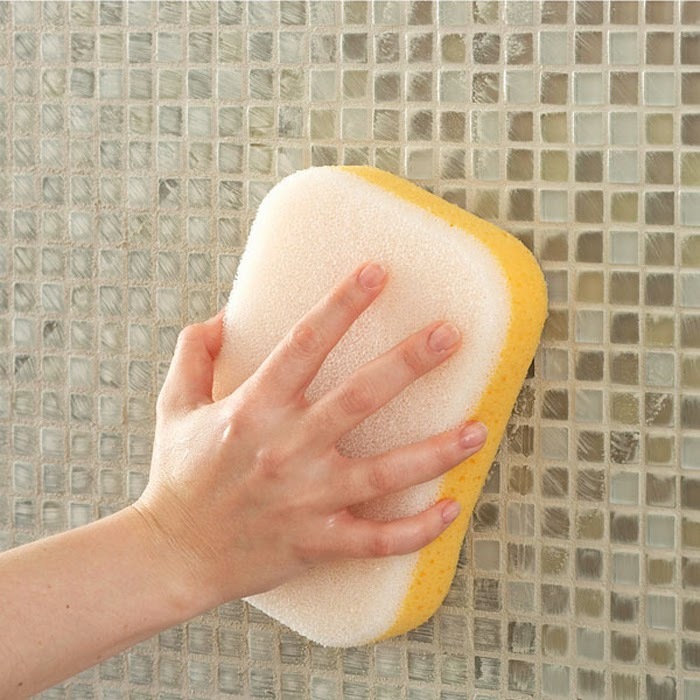 You want the grout to be dry enough so that it doesn't pull out of the joints and onto your sponge, but not so dry that you have to use heavy pressure to clean the tiles. Before the grout dries completely, use a soft, dry cloth to polish off any remaining haze and clean the tiles. Slide the cardboard spacer out from below the bottom row of tiles. Allow the grout to dry for two weeks before applying a grout sealer. Clean the tile and reapply sealer annually.